Many people suffer from dry eyes during the winter months. This is due to the dry heating air and the lower humidity in the cold. Dust, cigarette smoke and drafts, for example due to the blower of the car air conditioning system, amplify the problem. With these tips, people with poor eyesight can keep their eyes even in winter. Many people see worse in the deep sun or in the dark, in winter the early onset of darkness and the long twilight phase aggravates this problem. This circumstance can be dangerous especially when driving a car. The tinted glasses worn by skiers are completely unsuitable for driving in winter. The windshield filters out the UV light; Sunglasses with tinting would reduce the already limited visibility due to the poor lighting conditions. 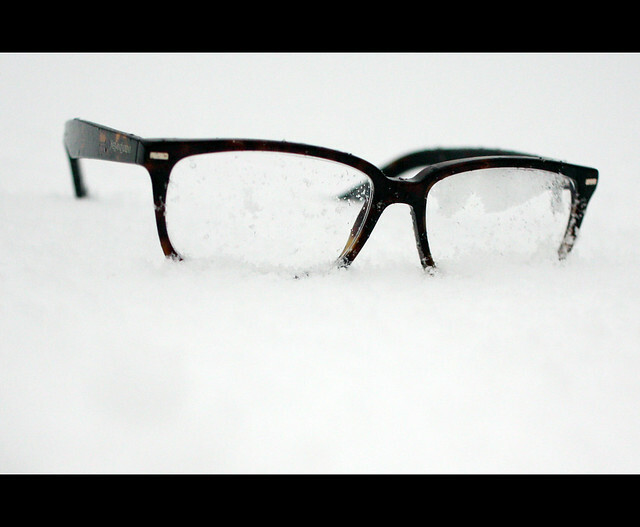 If you leave your glasses in the car, you also risk losing the coating due to the low temperatures. Therefore, eyeglass wearers should always keep their visual aids in a hard case in the glove box. Especially those who spend the whole day in the office or work a lot on the PC and smartphone, should make sure that enough moisture reaches the eyes. Otherwise, red and dry eyes, blurred vision, eye fatigue, back, neck and headache are at risk. These symptoms are becoming increasingly common as a result of media exposure in the digital age, as researchers from the American Vision Council have demonstrated in a study. More than 68 percent of Millennials born between 1981 and 1995 spend nine or more hours a day in front of digital devices and suffer from eye problems as a result. One reason for this is that you do not blink much when reading media content - the result is that the eyes are much less well wetted with tear fluid. Therefore, opticians recommend people with low vision who spend a lot of time in front of the screen, wearing glasses. If you decide in the range of the online retailer Edeloptics for the model #JBsupporter from the eyewear collection of footballer Jérôme Boateng, doing so also something good: From each sale, 10 euros will be donated to the DKMS blood cancer patient aid. Those who prefer to wear contact lenses, such as under ski or sports goggles, should make sure that air gets to the eyes and enough tear fluid is produced. Dry office air and air conditioners are among the biggest dampers. As a precautionary measure, you should refuel fresh air regularly and wear contact lenses with integrated after-wetting or moisten the contact lenses occasionally with drops of secondary wetting. This is especially important in winter, when the heaters in the office and at home are running at full speed: Not only the skin and the concentration suffer from the bad indoor climate, but also the eyes. In any case, contact lens wearers should avoid using glasses when they have a cold - otherwise there is a risk of the bacteria adhering to the lens material. And who would like to risk connective or corneal inflammation in the cold season?